OUR MISSION To provide young people the opportunity to develop their total person and by improving personal skills while enhancing leadership abilities through local community service and organizational involvement under open and guided mentoring methods. History: The West Warwick JAYCEES of Kent County in Rhode Island was founded in 1953 and set out on a fantastic track record for community initiatives: spear-heading the construction of federal housing for the elderly and disabled; planning and coordinating central library service and expansion; drafting legislation to enable the quasi-governmental agency, the Pawtuxet River Authority & Watershed Council; bringing about full-time government with a Home Rule Charter and working with political groups/parties that saw a Mayoral Form of Government To a Council-Manager structure; organized mayoral debates, public policy forums and council round tables; negotiated the enactment of the Tree Care & Preservation Act (''JAYCEE GREEN LAW'), the Tree Conservation Board; created the JAYCEE Corridor & Arboretum and the on-going rehabilitation of the state Senator Donald Roch RIVERWALK; offers all sorts of programming for Individual Development, Community Development, Membership Development and Management Development.The chapter is involved with a trans-pacific association through a 'TWINNING' relationship with the MANDALUYONG, Philippine JAYCEES! 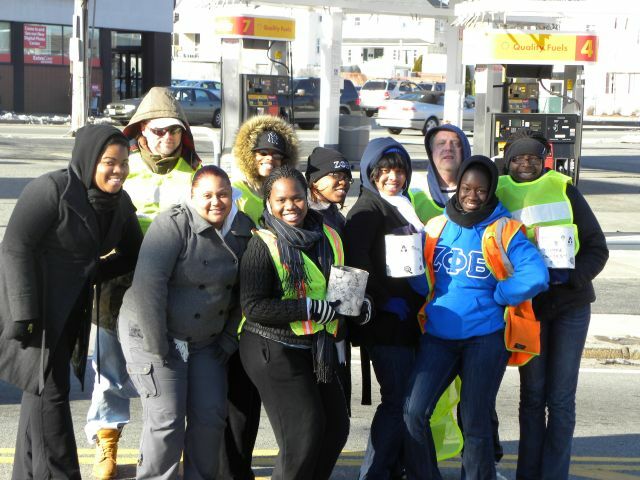 This JAYCEE group has also been recognized as an outstanding 'Mentoring' organization by the ''COMMUNITY YOUTH & PARTNERSHIP'' Initiative and as a consulting operative for JUNIOR ACHIEVEMENT of Rhode Island. Incorporated the JAYCEE Education & Library Foundation (Board Positions & Corporate Membership OPEN To PUBLIC!) as a community wide resource entity for all Volunteers, Friends and Sponsors! 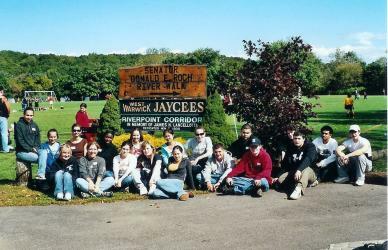 The JAYCEES have just been recognized with the 2005 Community Impact Environmental Award by the Volunteer Center of Rhode Island and have been nationally selected via the USA Weekend Newspaper Group for their 2004 Make A Difference Day 'Family and Ethnic' Celebration. They also have received the 2002 Senator Donald Roch 'Founder's Award' via the Pawtuxet River Authority & Watershed Council! The JAYCEES have additionally been honored for their tremendous efforts over the years in land use rehabilitation and preservation, environmental education, and community action by the Southern Rhode Island Conservation District with its 2005 Recognition of Service Award! It is an advocate and partner as a Tree City/USA Community now into eighteen(18) consecutive years certified via the RIDEM and National Arbor Day Foundation. The JAYCEES are extremely proud of their Award-Winning Arboretum Chairman, who was a recipient of the prestigious Outstanding Volunteer of the Year 2009 Awards by the Volunteer Center of Rhode Island & SERVE/RI. This award recognition also includes several Citations and Proclamations from the host community of West Warwick an nearby City of Warwick. We are additionally proud to announce that our Executive Director was presented the '' PRESIDENTIAL 'LIFETIME' SERVICE AWARD'' for outstanding, extensive and dedicated volunteer service and civic participation on behalf of the President of the United States of America! he Great ST. JOSEPH DAY Feast in the Pawtuxet River Valley!! Earth Day Community M O N T H and Arbor Day Day,The JAYCEES Garden Club, JAYCEES CELEBRATE ECOLOGYPEACE DAY, CorporateCares COMMUNITY Clean-Up Volunteer Days, Coastal Clean-Up Volunteer Day, JCS & Community Ecology 2, VOLUNTEERING FOR 9/11 COMMUNITY COMMITTEE, National Public LandsDay Meeting Center, JAYCEES & PUBLIC LANDS DAY2, JAYCEES Community 'Fall Frolic' Clean-up,MAKE A DIFFERENCE DAY & COMMUNITY 'Fall Frolic' CLEANUP, JCS National Family Volunteer Day , Pawtuxet Valley Christmas Tree Lighting andJCS Holiday Programs and Projects! The JAYCEES also have membership categories for Associates, Sustaining, Alumni, Life,(Honorary), JCI Senators, US JAYCEE Ambassadors and theJAYCEE Alumni Education & Library Foundation. They WELCOME VOLUNTEERS! JAYCEE Alumni Education & Library Foundation was established in 1990 to enhance the educational, charitable, leadership development, and community action programs of The W. Warwick JAYCEES (and affiliates) through the time-driven tenets of United States Junior Chamber, JCI Senate, JAYCEE Alumni Club & Junior Chamber International.